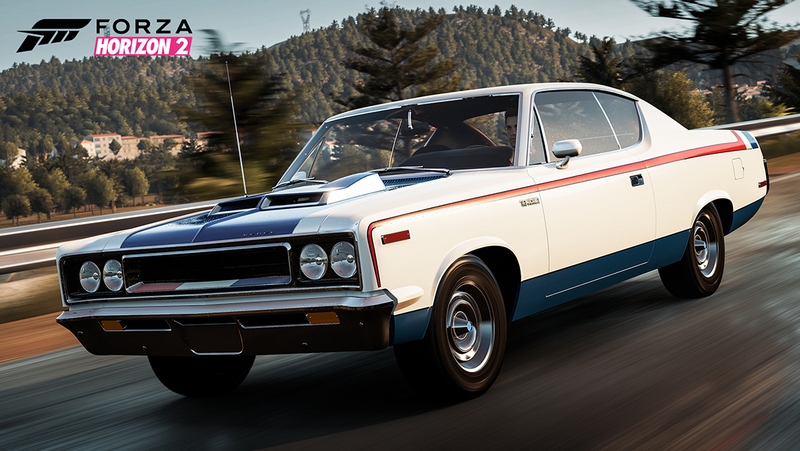 Spring has sprung and, with it, six amazing new vehicles have arrived in the release of the Alpinestars Car Pack for Forza Horizon 2 on Xbox One. 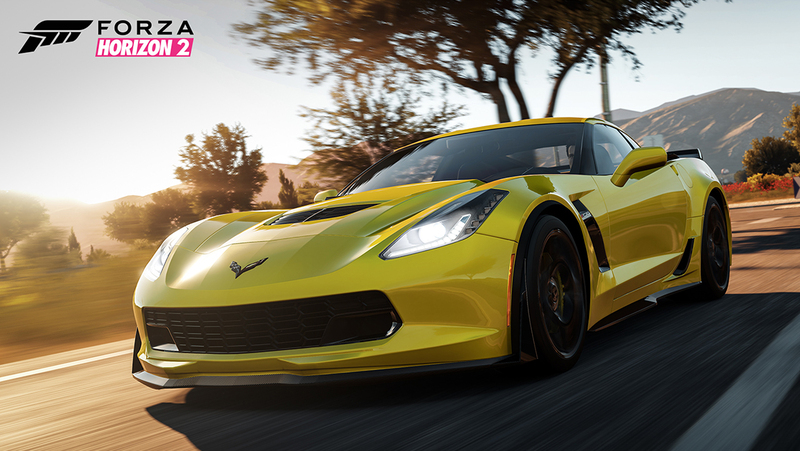 The highlights of the Alpinestars Car Pack include two examples of Chevy ingenuity – the 1953 Chevrolet Corvette and the 2015 Corvette Z06. The 1953 Corvette is a pivotal part of American sports car heritage, and the modern Z06 showcases exactly the kind of power and precision that Chevy is capable of today. 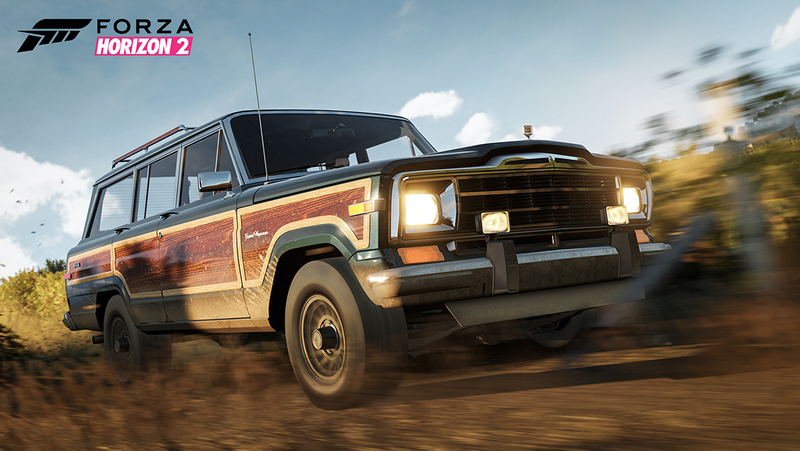 In addition, need a new beast for those Extreme Cross Country events in Forza Horizon 2? The 1991 Jeep Wagoneer is ready to roll. Tune up a new Audi TTS Coupé and take on anything you encounter. If classic American muscle is your thing, AMC’s “The Machine” is waiting to be unleashed. 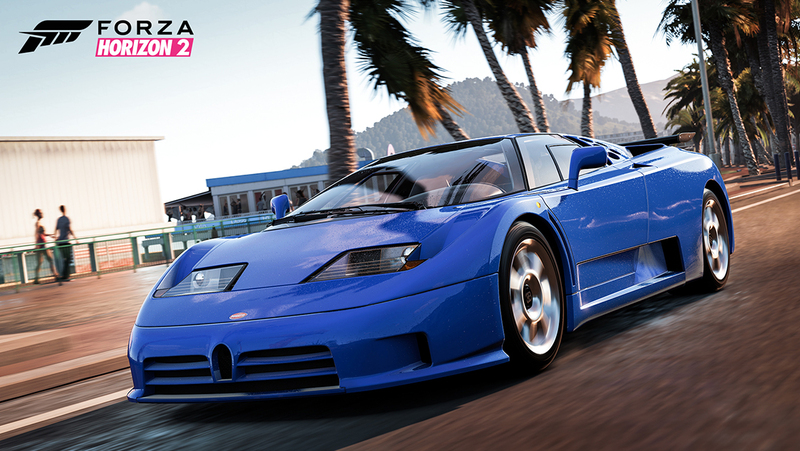 This month’s free car, the 1992 Bugatti EB110 SS, is as sleek as it is extraordinarily fast. One blast down the highway in this elegant example of French engineering is all it will take to convince you of the EB110’s power and Bugatti’s ongoing supercar legacy. 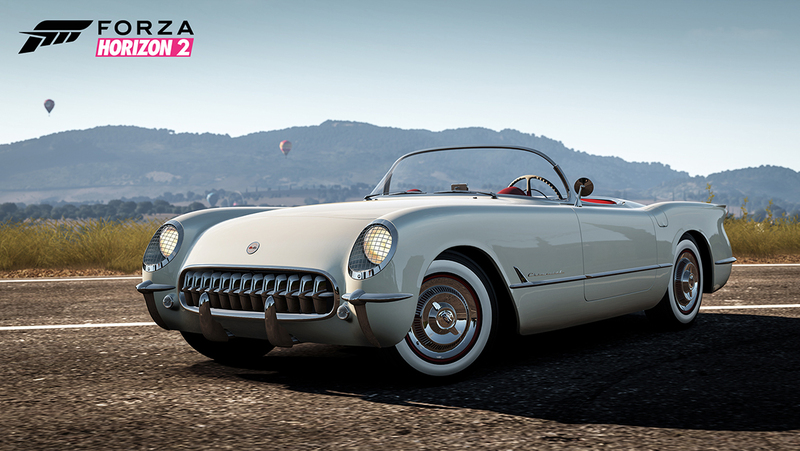 Most legends come from humble beginnings, and the story of the Corvette is no different. In an era where the only true sports cars were built in Europe, Chevy saw an opportunity. The company went about building a dream team to design a car that would appeal to a younger market, give the brand some flash, and keep it ahead of Ford in sales. Harley Earl—GM’s then design chief—let fly with an idea he had been coveting for more than a year after watching European sports cars at Watkins Glen: a low to the ground, two-seat roadster. Driven by practicality, the 1953 Corvette uses mostly off-the-shelf components such as the “Blue Flame” 160hp, 235-cubic inch in-line six-cylinder engine and two-speed Powerglide transmission. The only options available were a heater (which cost $91) and an AM radio ($145). All 300 that sold in 1953 had both options. The 1953 Corvette didn’t even have rollup windows. All the cars were hand-built, and all were Polo White with red interiors. The use of fiberglass was not only a weight-saving innovation but was a necessity due to the Korean War and a limited availability of steel. The 1953 Corvette’s dramatic and bold exterior was just what the public wanted and it forever changed the course of American car history. The Jeep Grand Wagoneer saw few changes over its 29-year production run, despite being produced by three different manufacturers: Willys-Overland, AMC and finally Chrysler. This alone is a testament to the functional and purposeful design of what was certainly the first SUV long before the term was coined. The Wagoneer replaced the Willys Jeep Station Wagon that dates back to the mid-1940s. It is rugged yet provides a luxurious ride and amenities that no other off-road vehicle could offer. In its wood-paneled trim, the Grand Wagoneer is reminiscent of the woodies of the past, but this rig is built to take on the rigors of any adventure its owner may choose. Built to honor Ettore Bugatti on his 110th birthday and to celebrate the rebirth of the car company he founded, Bugatti’s EB110 is nothing short of spectacular. In Super Sport dress, the already lithe supercar drops some weight and gains even more power. Under the aluminum body penned by Marcello Gandini of Bertone is a carbon fiber chassis. Impressive? Yes, but what really makes the EB110 SS phenomenal is the 12-cylinder, 60-valve, quad-turbo motor that turns all four wheels and delivers a top speed of more than 200 mph. The EB110 SS saw only 31 models produced, making its ownership list one of the world’s most exclusive clubs. 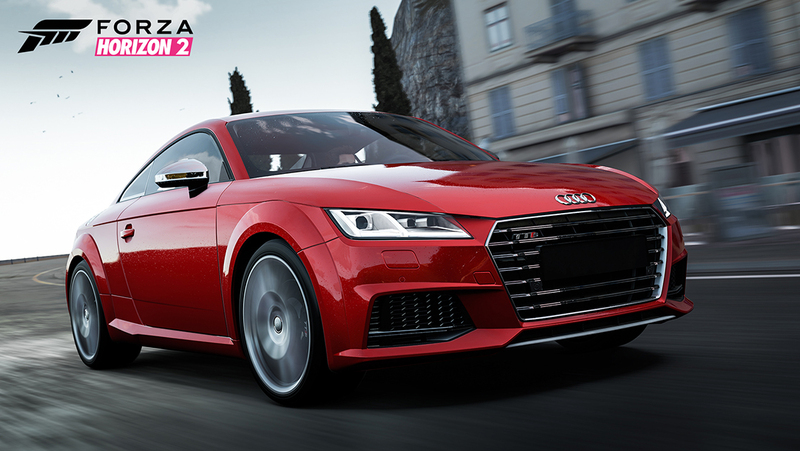 The May Alpinestars Car Pack for Forza Horizon 2 for Xbox One will be available on Xbox Live for $5 on May 5.